Air pollution causes lung disease, heart disease and asthma, with the burden falling disproportionately on children and inner city residents. National regulation began with the Clean Air Act of 1970 (CAA). In its first 20 years the program prevented 205,000 premature deaths, 21,000 cases of heart disease and 843,000 asthma attacks, according to the Natural Resources Defense Council (NRDC). 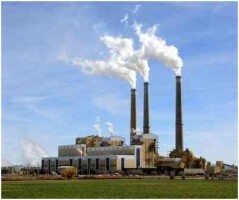 The Environmental Protection Agency (EPA) estimates pollution has been reduced 40 percent. The program saved Americans between $121 billion to $193 billion, while costing just $23 billion to $27 billion, between 1992 and 2002 according to the Office of Management and Budget. Millions of high paying jobs have been created. As the EPA has tightened regulation, the air has gotten even cleaner. What is there not to like? But this is America and industry is powerful. Coal is the chief culprit because it is both the cheapest and dirtiest fuel. Its most outspoken lobbyist is the National Mining Association, which fears decreased demand for coal. Tonnage is down and prices have fallen for four years. Recent growth in natural gas and oil due to fracking is nibbling into coal demand, so the long-term trend is negative for the industry. Coal producers want weak regulation of clean air to keep up demand. They also want weak regulation under the Surface Mining Act (SMCRA) and the Clean Water Act (CWA). They see a further threat in the EPA demands for states’ draft plans to reduce greenhouse gases under the provisions of the Clean Air Act and object that the Obama administration lacks legal authority. In a related controversy, on March 25 the Supreme Court heard arguments that the EPA exceeded its authority under the CAA in bundling mercury and particulate regulation. The coal industry has found an eager advocate in Republican Senator Mitch McConnell, the new leader in the Senate, who frequently denounces the “War on Coal.” Less coal, whether due to the CAA, SMCRA or the CWA, would improve the health of the American people. Electric generating companies share the Mining Association’s opposition to the Environmental Protection Agency. Over past years, the proportion of electricity generated by coal has fallen from 60 percent to 40 percent. Part of this is due to the Clean Air Act but also because of cheaper, natural gas alternatives. The Edison Electric Institute (EEI), the lobbyist for the power generators, is smoother in its public relations than the NMA. Last year it spent $8.5 million to lobby the federal government. Seeking a positive spin, the EEI brags that since 1990 the industry has cut sulfur dioxide emissions by 80 percent, nitrogen oxides emissions by 74 percent and ozone, smog and soot by 75-80 percent. Nevertheless coal is the cheapest fuel and regulations will increase the costs. On the other side of this debate is the American Lung Association. Besides a concern with clean air outside, the Association promotes clean air inside in the workplace under the Occupational Health and Safety Act. Poor indoor air quality is tied to headaches, fatigue, trouble concentrating and irritation of the eyes, nose, throat and lungs. Diseases like asthma are connected to mold and asbestos and radon can cause cancer. Two other important health organizations are the American Cancer Society and the American Heart Association. While there is no national legislation on smoking, many states have laws. One of the strictest is Ohio, which forbids smoking in bars and restaurants to protect waiters and waitresses.